How to prioritise the tasks that will bring you the results you want. Has anyone seen my weekend? I’m sure it was right here, and now it’s gone…..
Time flies when you’re enjoying yourself, (I am, in my business). Before you know it, it’ll be next week; next month; next year. And all those brave plans you had for your business will be lost in a sea of emails, staff issues and the general detritus of tasks, problems and urgencies that make up estate agency in the 21st century. As Ferris Bueller said (and yes, I am that old),“Life moves fast, and if you don’t stop and look round once in a while, you could miss it”. 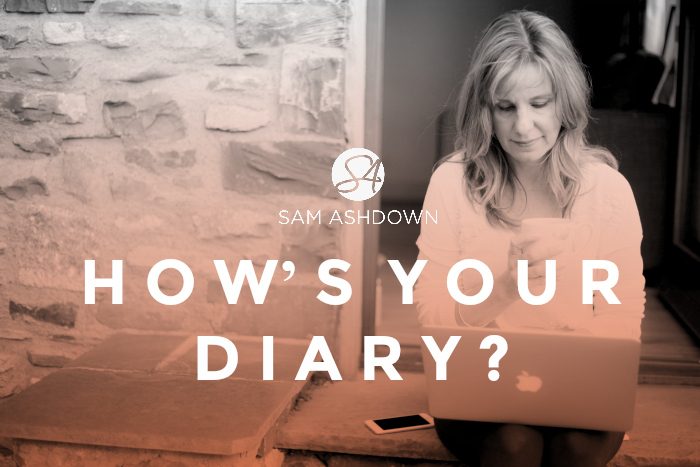 If the first thing you do each morning is open your emails, what you’re doing is letting your customers, suppliers and staff members determine what you’ll be doing that day. But they aren’t running your business; you are. You have something they don’t – The Bigger Picture: the vision of what your agency could look like, years from now. They are only concerned with today; this minute. Their problem seems insurmountable without your help, so they will ask you to solve it for them. But if you do, your Bigger Picture will not happen. It will simply fade into oblivion, leaving you the world’s best problem solver with a handful of dreams that never quite came true. You need to take back control of your business. Grab your diary and make some space. Allot time – not for working in your business, but for working on your business. Put a big line through these sections in your diary, and let everyone know you are not available at those times. A very successful entrepreneur I know blocks off one day every week like this. He calls these his red days and works from home or a local coffee shop. He doesn’t open his email, and his staff know not to call him unless the building is burning down. He tells me that these 40+ red days he takes each year are fuel for his business. Without them, he’s just a really good problem solver, when what his business needs is a pilot. The first step to take is often the most difficult. Stop opening your email in the morning. Almost any issue can wait until noon, and anyone who simply has to get your attention before then will have to call you. If you’re too worried you’ll miss something vital, re-route your emails through your PA, or office manager. I routinely open my emails three times each day: noon, around 4pm, then just after I close down for the day. People soon get used to not getting an instant reply, trust me. Next, I’m going to grant you three wishes. Then grab two sticky notes, preferably different colours. Write on one: CURRENT, and the other: NEXT. You are allowed to write three things on each. These are not to-do lists, but things you can do on a practical level to move you closer to your three wishes. You could choose all three current tasks to move you closer to one wish, or one for each, or a mixture. Put the stickies where you can see them. I have mine on my computer screen as a constant reminder of where I should be focusing my time. This process will give you complete focus on three business-building tasks right now, and the ones you’ll be tackling next. If any other really urgent business-building task materialises, it will have to replace one of your current or next ones. Start an overflow list called backburner and put any extras on there. It’s really important you stay clear and focused to tackle what you need to do, in the right order. Want more instructions? Laser focus on that goal. Need to get through more doors? Make marketing a priority. Need to earn more money? Write down the ONE thing that will bring you in the most revenue, in the shortest time.